The application is used to apply for an Officer, Board member or new Committee Position. Adults Only. November 2018 positions up for election are: Secretary, VP Girls, Treasurer and Board Member positions. WYHA accepts applications for Committee members throughout the year and anyone with time and talent are encouraged to apply. Most of our Officers and Board members served for a year or two as Committee Members. See the positions listed under the ORGANIZATION tab above or suggest your own role! Most applications are made in October for terms beginning in mid November. However, Committee openings may occur at any time and occasionally Officer or Board position vacancies occur. Attendance at monthly meetings at required. All positions are expected to help out at Events and utilize their skills to help out the organization. None. All Board and Officer positions are unpaid. 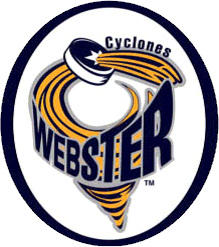 Webster Youth Hockey is run by volunteers. Please fill out this application for a Board, Officer or Committee Member position by October 31st. Interviews will occur in early November with new terms starting in mid November. November 2018 positions up for election are: Secretary, VP Girls, Treasurer and Board Member. All terms are for 3 years. WYHA accepts applications for Committee members throughout the year and anyone with time and talent are encouraged to apply. If you wish to apply for a Committee member position, please contact Jeanne Barreca, registrar@wyha.com, to have this application re-opened. Every person who fills out this application MUST have their own website account under their own name and email in order for WYHA to have accurate contact info for the interviewing process.